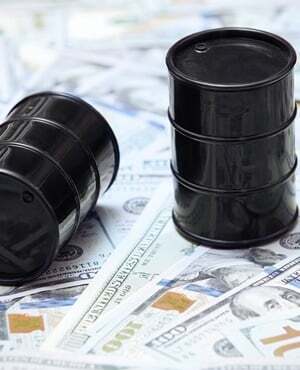 Oil held losses below $69 a barrel after an industry report showed inventories at a key US storage hub rose while deepening turmoil in emerging markets raised fears over energy demand. Futures in New York were little changed after slumping the most in three weeks on Wednesday. Stocks in emerging economies slid toward bear-market territory and a basket of developing-nation currencies traded near the lowest since May 2017. Meanwhile, the American Petroleum Institute was said to report crude inventories at Cushing in Oklahoma added 631 000 barrels last week. Crude prices had been caught in a tug of war between bulls and bears in recent weeks as speculation that US sanctions on Iran’s exports will tighten global supplies countered signs of rising inventories and pledges by other OPEC members to boost output. Now, as fear of a contagion spreads across emerging markets, concerns are growing that oil demand will weaken as a stronger dollar makes imports costlier for developing economies. “Investors are increasingly cautious,” said Makiko Tsugata, a senior analyst at Mizuho Securities. Factors such as the emerging-market currency slump that could lead to lower demand are “making it difficult for investors to aggressively bet on oil,” she said. West Texas Intermediate for October delivery traded at $68.51 a barrel on the New York Mercantile Exchange, down 21 cents, at 08:35. The contract slumped $1.15 to $68.72 on Wednesday. Total volume traded was 39% below the 100-day average. Brent for November settlement dipped 10c to $77.17 a barrel on the ICE Futures Europe exchange, after losing 1.2% on Wednesday. The global benchmark crude traded at a $8.94 premium to WTI for the same month. December futures in Shanghai slipped 0.4% to 519.5 yuan a barrel after dropping 0.5% on Wednesday.